Now that back to school supplies are on sale for super cheap, it is a great time to throw a crayon themed party. 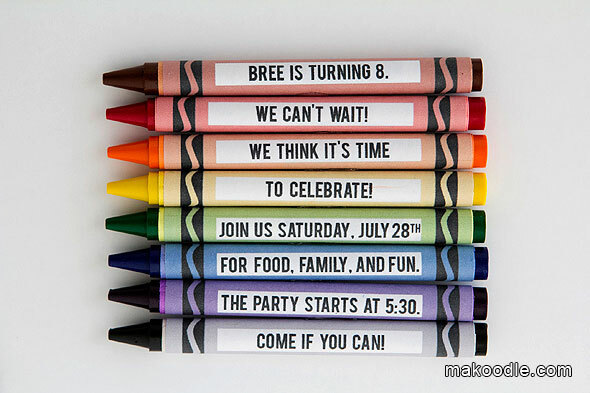 This fun crayon party invitation could be used for a birthday or even just a back to school get together with friends. You can check out the crayon party invitation tutorial over at Makoodle.